Since The Walking Dead started again, I've been thinking I need a new zombie-decimating weapon for use in my daydreams about stuffing them with bullets and hacking off their heads. 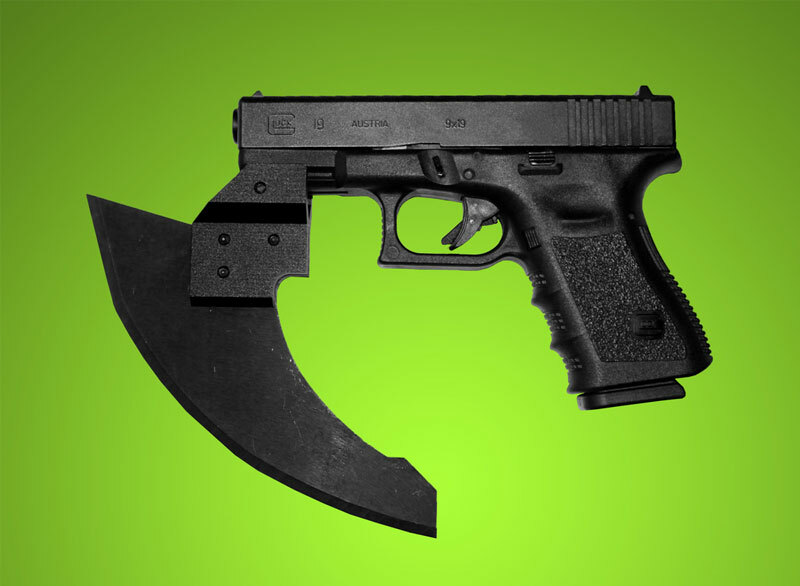 Melee Mods' Tact-Axe and Gatchet should do the trick. 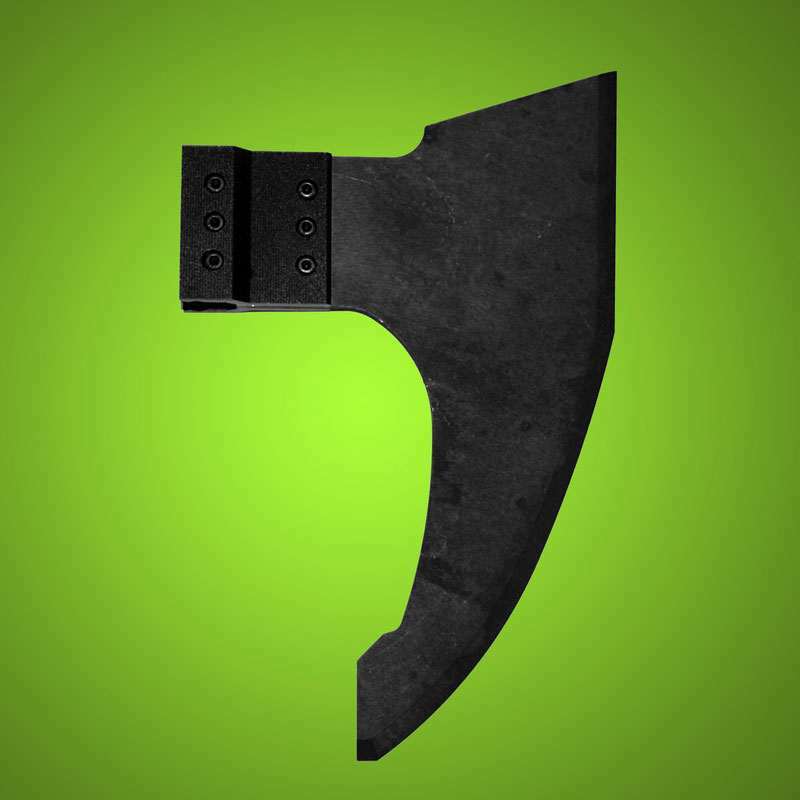 The pair of axe heads mount to the rails of your favorite shotgun or pistol for times when undead combat gets uncomfortably up close and personal. Though if it came to that, I imagine I'd get maybe one solid swing in before becoming a meal of human head cheese. Then again, Melee Mods says they sharpen their blades with 400, 600, 800, and 1000 grit silicon carbide belts on a 1" x 30" belt sander so that every inch of the convex edge keeps its extra sharp flavor for an extra long time. Maybe one swing would be enough. The Tact-Axe attachment for shotguns--Super Shorty being my immediate vision of beauty--is machined from 1065 carbon steel, and then black anodized and heat-treated to a hardness of RC 52. It mounts on any Picatinny rail. 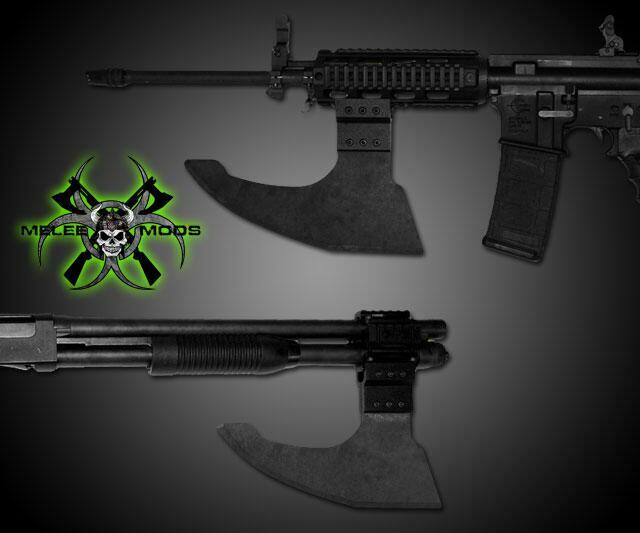 Gatchet axes are made of the same steel and receive the same treatment as their counterparts, but are shaped in the likeness of bearded axes for mounting on most handguns' laser rails. XDs and Glocks have also been tested with success. Each of the two mountable axe heads is part of a limited edition of 250. Muchas danke to Will H. for the Dude Product Tip.